Please note that the content of this book primarily consists of articles available from Wikipedia or other free sources online. The term "regression" was coined by Francis Galton, a cousin of Charles Darwin, in the nineteenth century to describe a biological phenomenon. The phenomenon was that the heights of descendants of tall ancestors tend to regress down towards a normal average. For Galton, regression had only this biological meaning, but his work was later extended by Udny Yule and Karl Pearson to a more general statistical context. 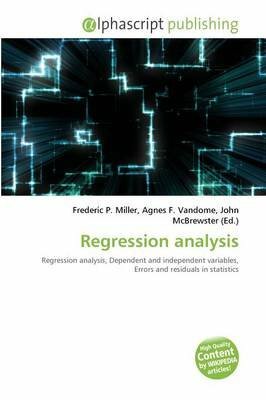 At the present time, the term "regression" is often synonymous with "least-squares curve fitting."